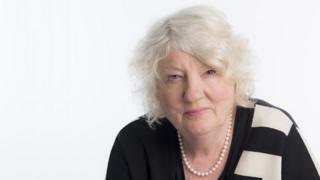 Wales' representative on the new BBC board has been announced four months late, after a row between UK and Welsh ministers over the appointment. The post was left vacant in March after Wales' broadcasting minister vetoed the UK culture secretary's nomination. On Thursday, UK ministers said Elan Closs Stephens would fill the vacancy. A board comprising senior BBC managers and non-executive directors was formed in April as part of the implementation of the BBC's new Royal Charter. Prof Stephens was previously the BBC Trustee for Wales before the position was abolished in March. She has also chaired S4C and sat on the S4C Authority as the BBC's representative, after funding changes led to the majority of its income coming from the BBC licence fee. The UK Government is responsible for appointing the Welsh representative to the new board, but needs the consent of the Welsh Government. The veto by Wales' broadcasting minister Alun Davies blocked the appointment of businesswoman Dr Carol Bell to the position and forced UK Culture Secretary Karen Bradley to reopen the process. In the meantime, the new unitary board of managers and directors began its work. Ms Stephens said she was "honoured" to be given the position. She said: "I have two fundamental aspirations. "I want to contribute to a robust governance of the BBC that helps make it one of the world's most respected broadcasters. "And I am committed to seeing Wales portrayed more fully to ourselves and to the UK." Welsh Secretary Alun Cairns said she would prove to be a "huge asset to the broadcaster and I wish her every success in the role". The board's non-executive directors include the Welsh Paralympian Baroness Tanni Grey-Thompson and Cardiff University's professor of digital economy, Ian Hargreaves.